Very Beautiful and delicate bridal set crochet of silver filled wire (made in USA) and featured with shiny moonstone chip beads. The set is including: necklace, cuff bracelet and earrings. 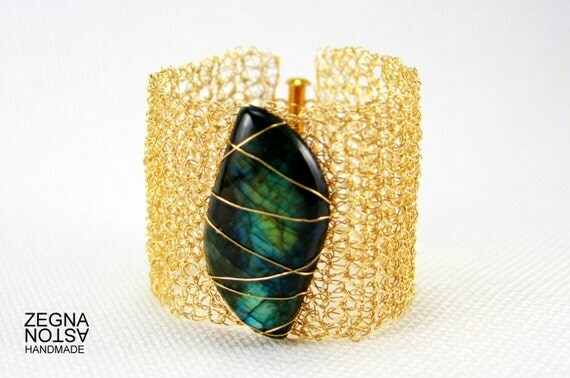 Bracelet is measured approx. 6.5″ long, 1 3/4 ‘ wide. Necklace is approx. 8″ (16″) long. 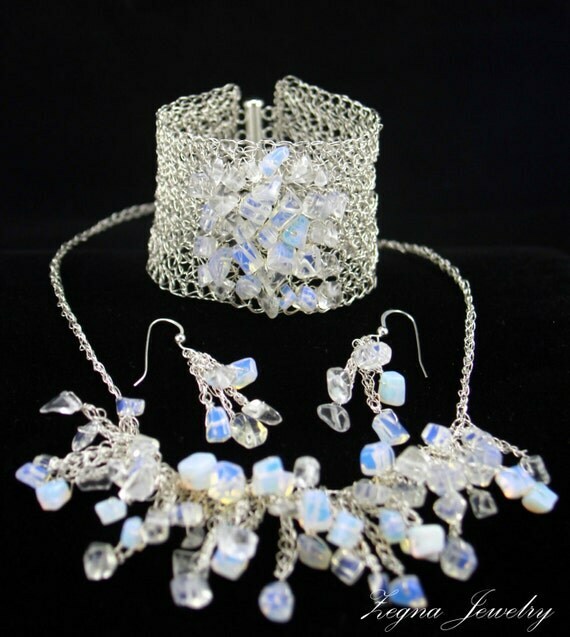 This set will attract lots of attention and will make unique your special day!